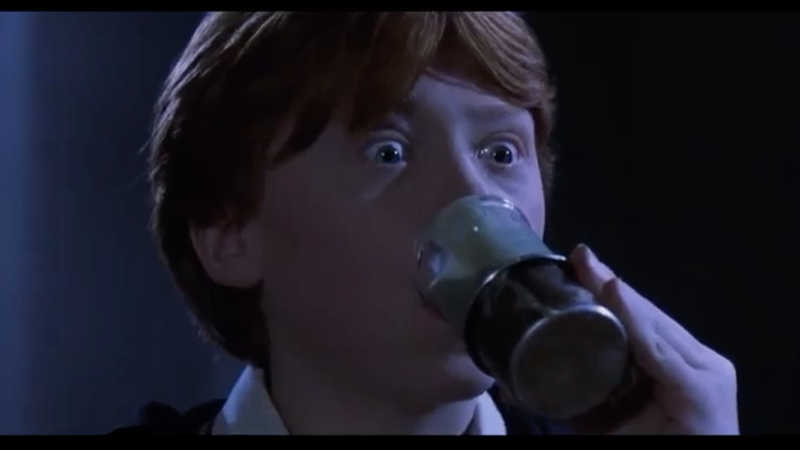 SimpleMost cast rennervate on our minds this morning, awakening us to a crucial development in the worlds of beer-drinking and Potter-fandom: a Harry Potter-themed beer festival is making the rounds in the U.S. As The Takeout’s Potter Bureau Chief, I am compelled to file this report. The festival comes from events company Rock Star Beer Festivals, which organizes “brews cruises,” beer and music festivals, and other such shindigs which presumably don’t involve Hagrid puns. So far, this festival has dates scheduled in Portland, Las Vegas, Denver, Seattle, Phoenix, Indianapolis, and Louisville. According to a Facebook event, the festival will include a tasting of “over twenty winter, pumpkin, and holiday ales including Snape’s Lair of Secret Cider Potions and Adult Butter Beer.” The venue will also be decorated to look like various locations from the books (the Great Hall, the Leaky Cauldron, etc. ), and activities include a Hagrid photo op and live music from Slytherin Sisters and DJ Dumbledore. You can find a full list of dates here. Not My Daughter, You Czech-Style Pilsener! Call me if you need me, I’ve got more. Ask Kate About Beer: Are shrink-wrapped beer cans recyclable?